Harry Potter inspired animal rights non-profit The Protego Foundation recently announced a new campaign supporting Save The Chimps, and an exciting collaboration with Accio! subscription box coming this November. 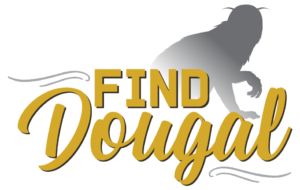 The Find Dougal campaign will raise funds for a sanctuary in Florida working to rescue chimpanzees – listed as an endangered species by the IUCN. Accio! subscription box are contributing to this campaign by offering Harry Potter fans the chance to get involved, get their hands on some exclusive items, and possibly even win a signed photo of Luna Lovegood herself, Evanna Lynch! Dougal is, of course, one of the magical creatures living in Newt Scamander’s suitcase – an intelligent Demiguise rescued by Newt (with a particular soft spot for Jacob – he was Dan Fogler’s favorite creature in the first film!). The Protego Foundation is using Dougal as the focus of their next campaign to help raise awareness of the plight of chimpanzees, often taken from the wild and sold as pets, forced to undergo experimentation or exploited for human entertainment. It doesn’t take Dougal the Demiguise’s magical powers of foresight to see the harmful effects of animal exploitation, or how real the danger of extinction is if we don’t take action to save the chimps. We share 98.8% DNA with chimpanzees, and it’s up to us to keep them safe. “In partnership with Protego, $2 from every Magical Creatures box we sell will be donated to Save the Chimps to help them with the cost of caring for the nearly 250 chimps in their charge. If we sell out (and we anticipate that we will! ), that will mean a $1000 donation to Save the Chimps! A few lucky subscribers will be selected (at random, of course) to receive a signed photograph with vegan activist, Harry Potter‘s Evanna Lynch! We've partnered with @TheAccioBox to raise money for @SaveTheChimps with our #FindDougal campaign coming in November! Every #HarryPotter-inspired box sold will have $2 donated to Save The Chimps, & you might get a signed photo from @Evy_Lynch! 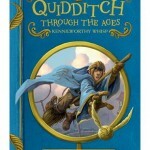 Each Accio! box is priced at $39.99 month-to-month or up to 20% cheaper with a multiple-month package deal. Currently Accio! only ship to the U.S. and Canada, but there are still a few days left to get some perks from The Protego Foundation’s fundraiser, which ships worldwide. 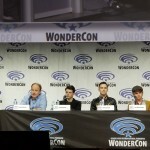 Be quick, and you could get a signed wand, t-shirts, a Fwooper cat toy, or other great perks! To support the campaign and receive these exclusive items, subscribe to Accio – and be sure to share your support for this campaign with Accio! 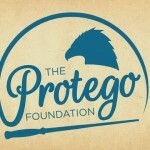 and The Protego Foundation! More information on the campaign is expected to be announced nearer to the November launch, so stay posted!